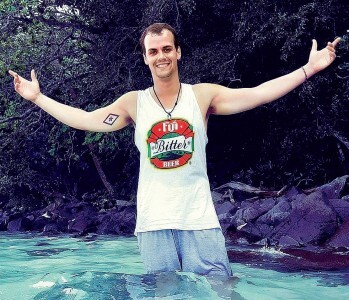 Through his work with the Peace Corps, Phi Gamma Delta Alex Widman ’17 is asking fellow alumni for book donations as he builds a lasting literary legacy on the small Pacific island of Yanuca. When Alex Widman ’17 entered his senior year at Ohio Wesleyan, he already knew that a life sitting at a desk wasn’t for him. Instead, he wanted to get out, see the world beyond Ohio, and make a direct impact through his work. So, like 78 OWU alumni before him, he joined the Peace Corps. 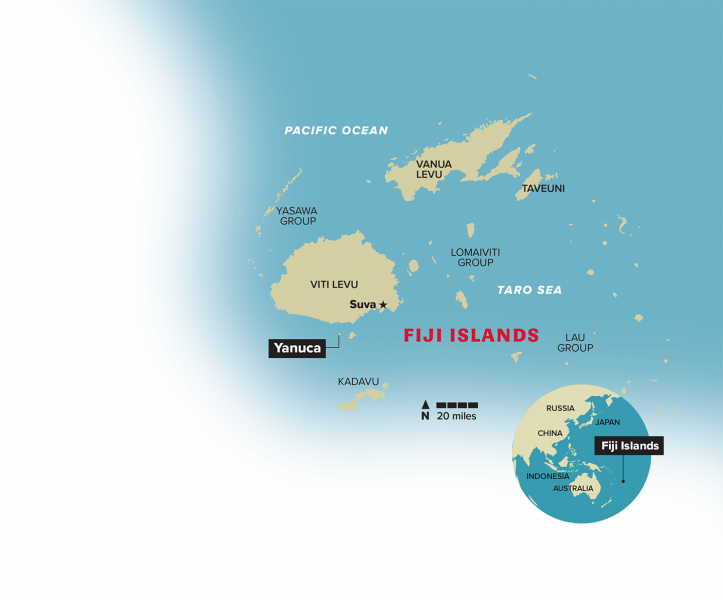 Since November 2017, Alex has been stationed 7,300 miles away from his hometown of Bucyrus, Ohio (population: 12,000), on Yanuca, a less-than-five-square-mile island, home to approximately 300 Republic of Fiji citizens. He is the sole American on the speck of an island and the first Peace Corps volunteer to be stationed on Yanuca since the creation of the organization by President John F. Kennedy in 1961. The picturesque island of Yanuca has no running water, spotty electricity, and is less than 5 square miles. Alex has been assigned to focus on helping the young adults of Yanuca, continuing an interest in working with this age group that he developed while at OWU. After pinching a nerve playing football his freshman year, Alex decided to retire from the team and devote his time to community service, particularly in local elementary schools. He started volunteering with Big Brothers Big Sisters, despite never having tutored before, and stayed with the organization throughout his four years. “I liked tutoring so much that I later found a work-study job through (OWU director of community service learning) Sally Leber at the Columbus Initiative, and worked at a Linden elementary school in Columbus with kindergartners to sixth-graders for three and a half years,” he says. While most Peace Corps assignments in the area of youth empowerment work with anyone unwed between the ages of 18 and 35, only a handful of Yanuca residents fall into that category; the population is almost exclusively younger children and their older parents and grandparents. Because of the age gap, Alex has had to be creative with his assignment. But kids are kids the world over, and Alex has been able to draw on his college experiences to spark ideas. His biggest projects focus on promoting literacy for elementary and middle-school students. Alex submitted a Class Note to OWU Magazine about his adventure early in 2018 in which he requested donations of children’s books, prompting two readers to reach out with donations. Family, friends, and his Phi Gamma Delta (FIJI) brothers back home have also pitched in. Alex Widman tests the waters off Yanuca. He is stationed on the small Fijian island through the Peace Corps. 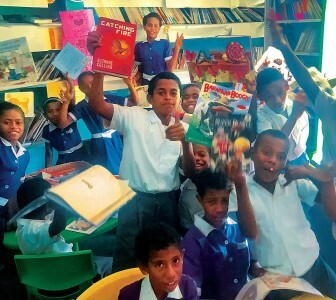 Alex’s father manages the logistics of shipping books to Fiji from Bucyrus and says that, at last count, over 500 donated books — from popular favorites like the Hunger Games series to learn-to-read books for the younger set — have been sent to Yanuca. Tim has shipped a circa-1970s World Book encyclopedia set in batches (it costs about $100 to send 20 pounds of books), along with 40 or so children’s books (Berenstain Bears, Arthur, and the like) from Alex’s aunt. 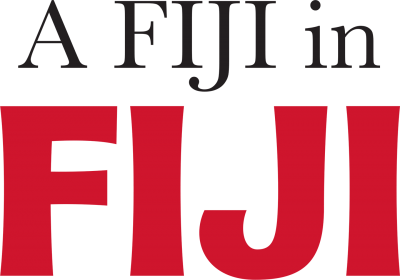 Understanding and speaking English is crucial for the students of Fiji, who speak Fijian at home. 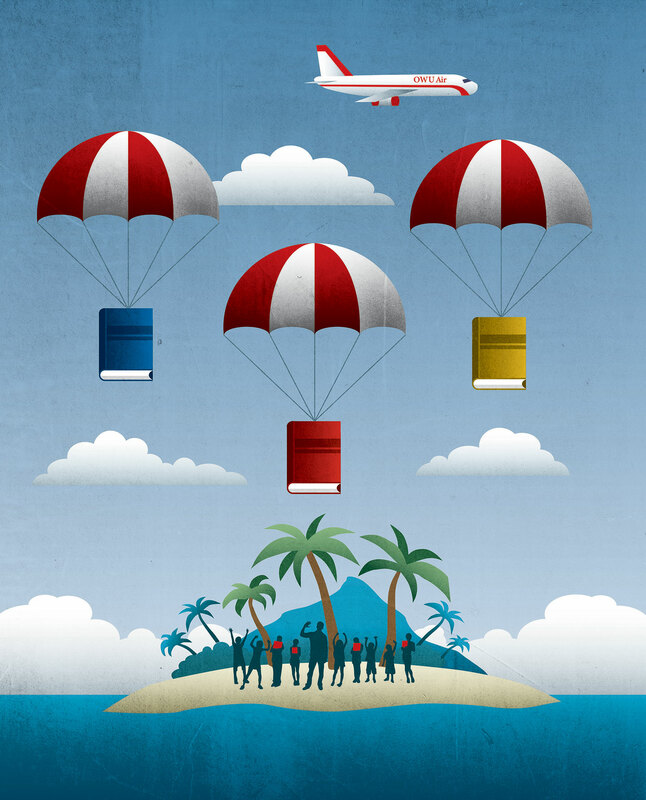 A former colony of the British Empire, the island nation follows a British education model. Students are required to pass proficiency exams entirely in English before they can advance to the next grade. 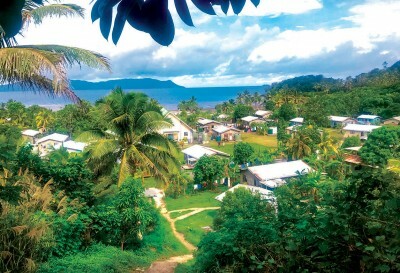 With the only high school a boat ride away on Suva, most students, as their parents did, will choose to leave school after eighth grade and later find work farming, fishing, or in the tourism industry on other Fijian islands after they turn 18. Alex hopes to show students that continuing their education can be just as beneficial as entering the workforce, and to demonstrate to other villagers that creating a library is an investment in Yanuca’s future. Alex has worked to ensure that members of the OWU community are investing in that future, too. He first reached out to his brothers in the Theta Deuteron chapter of FIJI last year, requesting they donate to Yanuca’s library as a community service project. Chapter president Duncan Copeland ’20 and recording secretary Ben Whitbourn ’19 both wanted to help out, along with Nick Braydich ’20, Theta Deuteron’s philanthropy committee chairman. They combined the book drive with Phi Gamma Jamma, FIJI’s spring philanthropy concert. Admission was either $5 or a children’s book. It looked like Christmas morning. They were tearing open the boxes and couldn’t believe all the different stories. They also collected books at a table in Hamilton-Williams Campus Center and reached out to FIJI alumni and families to ask for book donations. Whitbourn says the concert and book drive ended up being one of the most successful events Theta Deuteron has ever had. The chapter collected six boxes of books, all within a K-12 reading level, to ship to Alex in Yanuca. Braydich says alumni brothers generously reimbursed the chapter for the $1,200 shipping costs. “Our fraternity thrives off the motto ‘Not for college days alone.’ This project allowed us to assist our brother in a worthy humanitarian cause that has the potential to impact generations to come,” Copeland says. Among the two boxes of books donated by Kermode were Judy Schachner’s Skippyjon Jones — a favorite of her children — and works by naturalist Jim Arnosky, her favorite. “I hope the children on Yanuca get the joy my kids and I got out of all those books,” she says. 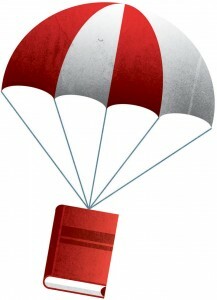 Mindy Williams ’00 was also inspired to donate about 50 books after she read about Alex. Her father, William Bossert ’61, was a FIJI, and her grandfather, Roy Bossert, was an organic chemistry professor at OWU from 1937 to 1972. “I wanted to help this project, even if it’s halfway across the world,” she says. The students of Yanuca had about 400 books donated from Australia and Great Britain before Alex began asking for donations, but they’re especially excited to receive books from the United States. The 7- and 8-year-olds of Yanuca Island School show off their new books. “(When the children got the books) it looked like Christmas morning. They were tearing open the boxes and couldn’t believe all the different stories,” Alex says. Among the children’s favorite books are Disney fairytales, Dr. Seuss books, and the Harry Potter series. Alex cites an Interfaith Service Trip he took during spring break 2016 as the catalyst for his desire to serve. He, eight other students, and two faculty advisors spent the week volunteering in downtown Pittsburgh with Repair the World, a Jewish nonprofit. While Alex loved helping in neighborhood development and tutoring at Pittsburgh elementary schools, he felt unfulfilled after the trip. He says that being in the community for only a week felt insulting to its residents given how much work still needed to be done. “This was the first time it occurred to me that the only way to make any sort of worthwhile, lasting improvement is to work with people and empower them to take agency over their lives,” he says. This idea carries into Alex’s Peace Corps work, and every project he undertakes starts with an idea from Yanuca’s residents. His father, Tim, says he encouraged Alex to listen to what people ask for and to recognize the community’s independence. Alex says his transition to Fijian life wasn’t difficult. Peace Corps volunteers do two and a half months of required training at their assigned location, and Alex spent his attending local events like “Kava Circles,” community gatherings where locals sit around and drink kava, a mild alcohol made from the roots of a pepper plant. “Before long, everybody knew me, and I picked up much of the local language,” Alex says. His new neighbors were eager to learn all about him. After he mentioned that he was in wrestling club at OWU, his new friends began challenging him to matches. News spread to a nearby village, and Alex found himself being challenged by someone who outweighed him by 30 pounds. Alex won and says they’re friends now. To stay active, every day except Friday and Saturday, Alex plays rugby with the young men in the village. Yanuca doesn’t have running water or roads. Alex showers in unheated collected rainwater, fishing out the occasional dead gecko. Electricity is spotty, depending on the cooperation of solar panels. He has no refrigeration and hangs his food from the rafters of his house to keep the rats away. He subsists on pumpkin, rice, oatmeal, chickpeas, and vegetables, along with fruits that grow on his island: papaya, pineapple, wild grapes, coconuts, and breadfruit. Serious medical assistance is more than an hour away. He clears fallen timber to help abate mosquitoes. Zika is a concern. Alex told his father that all the kids have scars on their legs from picking at mosquito bites. “It is an eye-opening experience for him,” Tim says. In addition to his book drive, Alex is also serving as project manager for a playground for the elementary school and a cyclone evacuation shelter for the island. Both of these projects are possible through grants Alex applied for, inspired by community suggestions. Materials and builders have been secured for both. His Peace Corps assignment continues until December 2019, although he has the option to remain for another year.